Dogs, like humans, are no stranger to strong bonds. 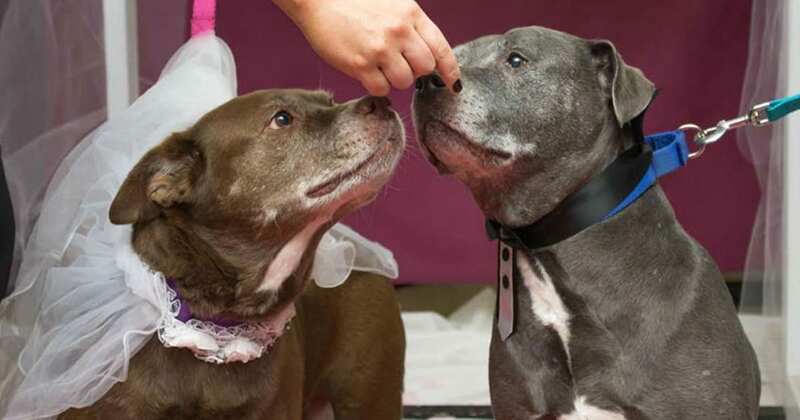 In fact, some dogs become so connected, they’re referred to as ‘a bonded pair’—although Jack and Diane prefer the term ‘newlyweds’. The two senior dogs were found wandering a cemetery in Chelsea with their leashes tied together. A Good Samaritan immediately alerted the Kennebec Valley Humane Society (KVHS) who took them into their care. From the moment the dogs arrived, their attachment was clear. “When she is separated from Jack, you can find her impatiently waiting for his return,” said Stevanie Roy, the shelter’s director. Although the shelter initially tried to locate the dogs’ owners, nobody came forward. So, for the past five months, Jack and Diane have been calling the shelter home. 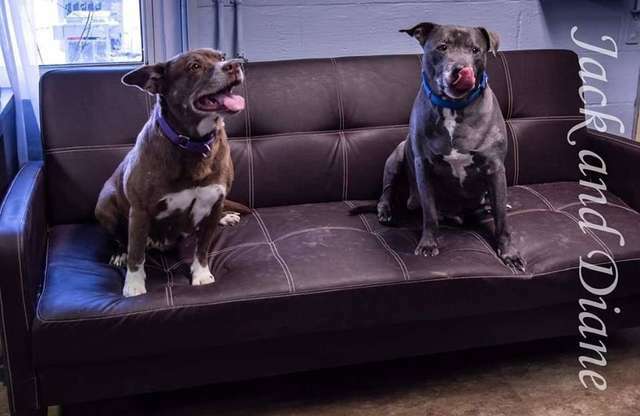 Although the pups are happy to have a warm bed and a bowl full of food, they’re still looking for a forever family— but under no circumstances, will the shelter let them be split up. 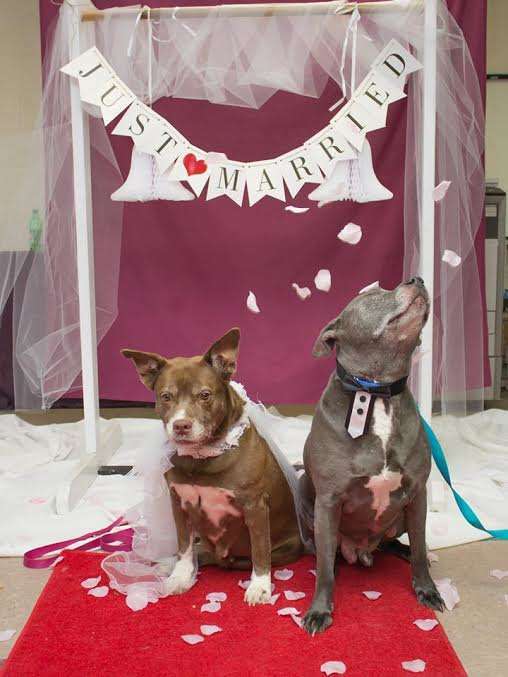 To illustrate how devoted KVHS to keeping the dogs together, the shelter recently hosted a wedding to ‘marry’ the long-time pair. On an early morning this month, staff gathered at the shelter to prepare for the ‘pawsome’ celebration. They decorated the area with white flowers and decor, rolling out a long carpet marking the aisle. “Diane had her own dressing room where she was dressed in a veil with a flowered collar,” said Roy. 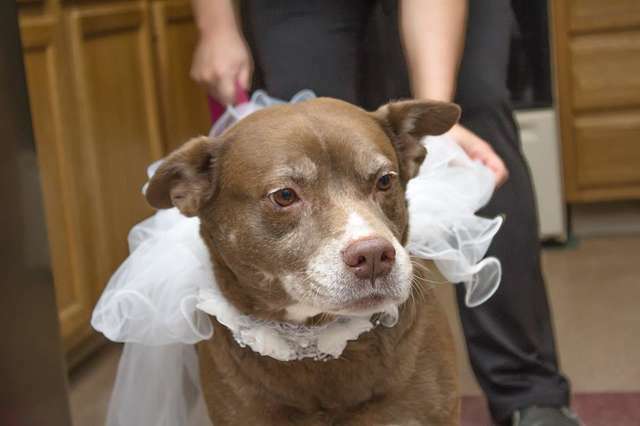 Roy stood at the altar to say a few words about the canine’s bond. 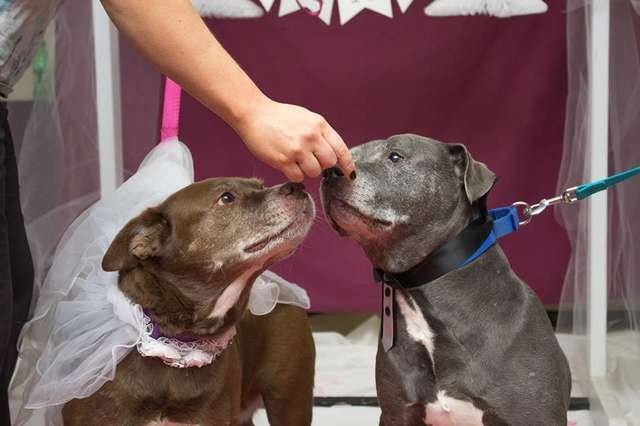 Because they couldn’t officially ‘I do’, the pups showered the director with wet, slobbery kisses instead. After the ceremony, everyone was invited to a pizza party where the newlyweds snuck pepperoni slices from the guest. 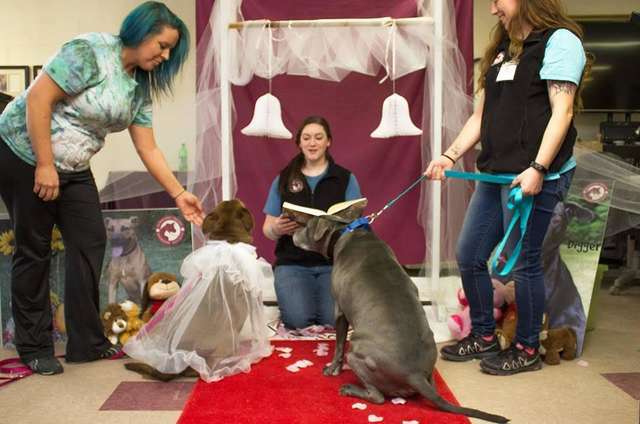 The canine wedding was a total success— but unfortunately, the pups still haven’t found a home. Still, Roy is convinced they’d be the perfect addition to a special family and is even willing to work with adopters out-of-state. 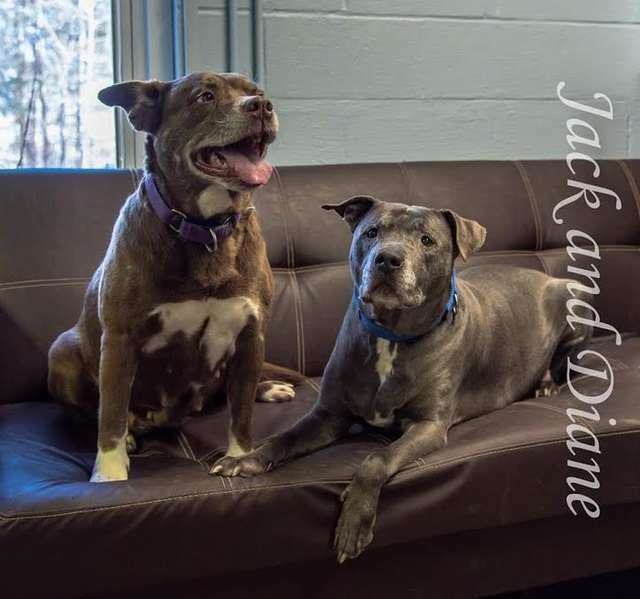 “Jack and Diane are considered bonded and will be placed in a home together,” she confirmed. For more information about adopting the dogs, please contact the shelter at (207) 626-3491.